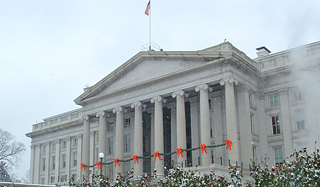 Do you need assistance with your government relations program? Does your company or organization need a well-connected lobbyist to get your voice heard in the corridors of Washington, DC? Are your managers, staff and organization members missing important legislative and regulatory developments affecting your industry? Is your government relations and advocacy program not as effective as it should be? Do you need help organizing a flawless fly-in event? Are you and your staff too busy to complete important research projects or submit comments to proposed rules? Then you need Eye on Washington — a full-service shop for all of your needs, from lobbying to advocacy strategizing to grassroots management to monitoring and analysis of regulatory and legislative issues. We also offer these services at the state and local levels. Eye on Washington teamed up with the International Council of Shopping Centers (https://www.icsc.org/) for their annual Lobby Day during which they asked legislators to co-sponsor S. 976/H.R. 2193 and H.R. 620. Janet Kopenhaver set up all the Capitol Hill meetings and drafted individualized schedules for the over 200 attendees. In total, 227 offices were visited (72 in the Senate and 155 in the House), representing 37 states and following the meetings, 2 Senators signed on as co-sponsors to S. 976, 14 Representatives agreed to co-sponsor H.R. 2193, and 26 Representatives added their names to H.R. 620. The International Association of Compound Pharmacists (https://iacp.site-ym.com/) hired Eye on Washington to assist them with their June 2017 �Compounders on Capitol Hill� Advocacy Day. For this event, we set up 155 meetings (63 in the Senate and 92 in the House) from 34 states for the over 110 attendees. As a result of these meetings, 15 Representatives with whom IACP members met added their names as co-sponsors to a bill they were discussing. Eye on Washington's client, the U.S. Women's Chamber of Commerce (USWCC), was invited to provide a witness for a Small Business Subcommittee on Contracting and the Workforce hearing on "Continuing Challenges for Small Contractors." Karen Ward, President and CEO of WESSGRP of Stafford, Virginia testified on behalf of the organization. Janet arranged meetings for her client organization members on Capitol Hill with legislators to discuss important international trade issues. Among the concerns was the transshipment of goods through third countries to avoid paying duties. Eye on Washington organized a very successful Day on the Hill during which attendees visited with their Representative and two Senators and their staffs. Among the issues discussed were access to capital and federal contracts for small businesses, reform to the small business federal contracting program, the Healthy Families Act, and other issues that impact small businesses nationwide. Eye on Washington President Janet Kopenhaver participated in a Small Business Committee Roundtable discussion hosted by Ranking Member Rep. Nydia Velazquez (D-NY-7) that focused on access to capital. Report shows lack of diversity in top civil service ranks. Janet Kopenhaver, in her role as the Washington Representative for a former client was invited to be one of two guest speakers on Francis Rose's "Federal News Countdown" radio show during which they discussed the Sammies awards, the potential for a government shutdown, decreasing morale at several agencies and the overall budget situation in Washington, D.C. Listen to the show in its entirety. Just in time for Election Day,a former client released its Congressional Scorecard for the second session of the 113th Congress. As a result, a former client Washington representative, Janet Kopenhaver, was a guest on several radio shows.